Please complete the Winter Sampling at Trout Lake Station form 3 days before planned field work. Note: training may be required; please plan accordingly. There are many research projects at Trout Lake Station. Below are links to several of our long term projects. 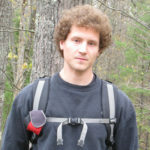 Dr. Noah Lottig:I am an Assistant Scientist and Site Manager with the North Temperate Lakes Long Term Ecological Research Program. My primary research interests focus around ecosystem ecology and landscape limnology. 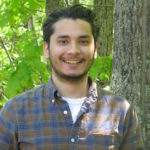 I am particularly interested in understanding the long-term dynamics of aquatic ecosystems as well as the role aquatic ecosystems play in the regional and global carbon cycle. 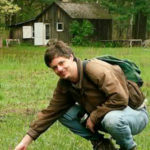 Dr. Tom Rooney: My research group and I are testing protocols garlic mustard eradication. We are performing a population census, collecting demographic data, and implementing control procedures. Now in its 7th year, we have seen the garlic mustard population decline by over 80%. 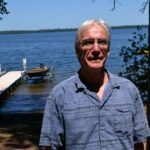 Dr. Carl Watras, WDNR research scientist, Limnological investigations of northern lakes and wetlands, with an emphasis on atmospheric contaminants (mercury and acid rain), water budgets and carbon cycling. Biogeochemical studies of acid rain and mercury began at the Trout Lake Station (TLS) in the early 1980’s, focusing initially on a whole lake experiment in Little Rock Lake, a small (0.2 km2) precipitation-dominated, seepage lake situated in an undisturbed watershed about 5 km from TLS. The whole lake experiment evolved into a synoptic study of relationships between lake acidification and mercury bioaccumulation after it was observed that concentrations of highly toxic methylmercury (meHg) increased in water, phytoplankton, zooplankton, and fish during experimental acidification – and then returned to background levels during recovery.The synoptic studies have shown further that water level fluctuations and organic carbon export from wetlands also play a role in lake acidification and mercury contamination.These observations prompted intensive studies of wetland hydrodynamics using wireless sensor networks to track fluctuations in water levels and the flow of critical solutes over time scales ranging from hours to years (www.wetlands.gleon.org). They also prompted investigations that revealed a climatically-driven, near-decadal oscillation that has dominated the regional water cycle for most of the last century (www.news.wisc.edu/22467). Pete Guiden: Our work seeks to understand the response of small mammal activity to changes in winter climate. Small mammals consume many ecologically and commercially valuable tree species, and may have underappreciated effects in the winter. However, winters are warming and snowfall is decreasing, which could change the effect of small mammals on tree seed survival. To test this idea, we remove snow from small areas within forests and monitor seed survival and small mammal activity. We hope this work improves management of Wisconsin’s ecologically and economically important tree species by identifying conditions that minimize seed consumption by small mammals. 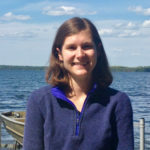 Holly Embke: Walleye, a culturally, economically, and ecologically important sportfish in much of North America, has experienced declines in recent years. The cause of these declines is not understood, but is likely due to a combination of factors, such as temperature changes, harvest, and species interactions. 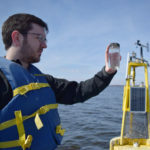 As part of a multi-year project to understand the mechanisms underlying how Walleye are affected by other fishes, we will be conducting an experiment on McDermott Lake. We will remove as many bass and sunfish from this lake as possible to determine if there is an interaction between these fishes and walleye. 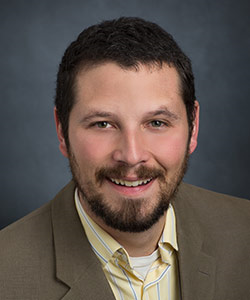 Chris Sullivan: Reproductive success of Walleyes has declined in many northern Wisconsin lakes, which is a concern for the Wisconsin DNR that manages these fisheries. Evidence suggests that populations of Largemouth Bass and other Centrarchid species have expanded and some biologists have hypothesized that these other fish are affecting Walleye reproductive success. We will conduct an experiment to determine whether this might be the case, by removing Centrarchid fish species such as Bass and Bluegills from a lake to determine if Walleye reproductive success (i.e., number of age-0 fish collected in fall) improves following the removal. 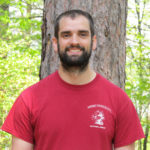 Steve Tyndel: The purpose of this study is to examine the role of social information in habitat selection in Golden-winged (GWWA) and Blue-winged Warblers (BWWA). 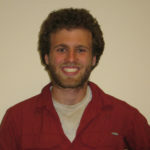 Our objectives are to determine if conspecific social information can be used to induce settlement in both GWWA and BWWA across their range, how each species responds to heterospecific cues (how BWWA respond to GWWA calls and vice versa) and whether responses differ in allopatric and sympatric populations. Study sites include an allopatric area of GWWA (Vilas County, WI), an allopatric population of BWWA (Vermillion County, Illinois), and a sympatric population of both species (Monroe County, WI). Eric Larson: We are investigating relationships between invasive crayfish behavior and diet on gradients of potential intraspecific competition, from lakes with relatively few crayfish to hyper-abundant populations. We are curious if intraspecific competition gives rise to greater individual specialization of both laboratory behaviors and field diets, as inferred by stable isotopes. Mike Spear: Our research question is whether quantification of environmental DNA can be used to estimate walleye populations (abundance or biomass) in northern Wisconsin lakes. We are comparing our ability to quantify walleye DNA filtered and extracted from lake water to the DNR’s estimates of walleye populations from their mark-recapture netting and electrofishing.